Junior Fox Members: Booking Open For Two Fun-Filled February Events! Young Leicester City fans have another chance to join Filbert Fox at Twinlakes Family Theme Park this February, with a ‘pizza party’ invite also extended to Junior Fox Members during the month! First up, Junior Fox Members have the chance to enjoy free pizza and a soft drink at MOD in Highcross Shopping Centre. On hand to oversee proceedings will be Filbert Fox, as well as iconic former Leicester City captain Matt Elliott! Melton Mowbray attraction Twinlakes is the venue for superhero-themed thrills at the next February event, also exclusive for Junior Fox Members. One parent or guardian per Junior Fox Member is invited to attend and enjoy each event alongside their child. 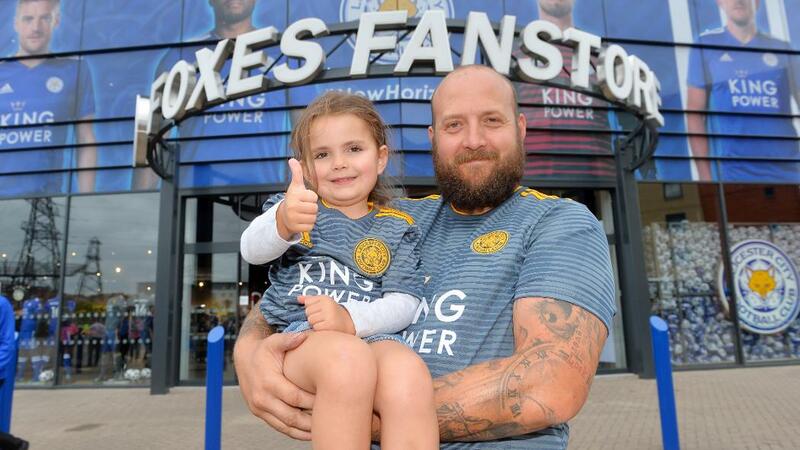 Becoming an official Fox Member brings you closer to Leicester City Football Club and also gives you a host of additional benefits and exclusive content. Those interested should click HERE to secure spaces, with online booking the only way to obtain tickets. Junior Fox Members have priority on free places until 6pm GMT on Friday 15 February. Please note that availability is limited. If places remain after this date, the event will open up to Junior Season Ticket Holders. Those who secure places before 12pm GMT on Friday 15 February will have their tickets posted out to them. Supporters who book after this date will be required to collect tickets from the City Sales Centre at King Power Stadium prior to the event. All applicants will be required to assign places to either a Junior Fox Member or Junior Season Ticket Holder in order to secure tickets. For more information, click HERE to email LCFC’s Supporter Engagement Team. Junior Fox Membership continues to give younger supporters access to a host of benefits, including events like the above. These include priority on tickets (for supporters over two-years-old) and many other fantastic opportunities throughout the season! For more information on 2018/19 Junior Fox Memberships, click HERE to email the team, or click HERE to purchase. *Adult supervision is required at all times throughout the day.